§ 29.1-516.1. Using tracking dogs to retrieve bear, deer, or turkey. 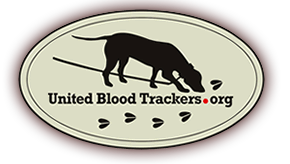 Tracking dogs maintained and controlled on a lead may be used to find a wounded or dead bear, turkey, or deer statewide during any archery, muzzleloader, or firearm bear, turkey, or deer hunting season, or within 24 hours of the end of such season, provided that those who are involved in the retrieval effort have permission to hunt on or to access the land being searched. A licensed hunter who is engaged in such tracking may have in his possession a weapon permitted under this title and may use such weapon to humanely kill the wounded bear, deer, or turkey being tracked, including after legal shooting hours. Such weapon shall not be used to hunt, wound, or kill any animal other than the animal that the hunter is tracking, except in self-defense.